Colorado Cob Company | Natural and vernacular building in Colorado. 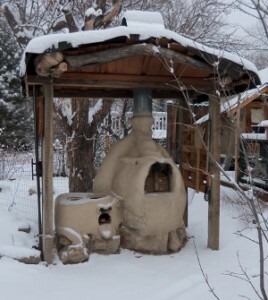 A n Earthen bread and pizza oven is the perfect addition to any backyard! A cob bread oven is a wonderful introduction to the cob building process; few cob projects provide such immediate gratification. Once you have experienced the mud in your fingers and tasted your own wood-fired pizza, you’re likely to feel that inescapable urge of bringing forth another cob creation. 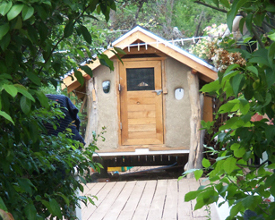 Whether you’re eager to get started on a cob project of your own or just want to test the waters of natural building, we can help you set forth into that great adventure. Built from the Earth itself, an old apple tree, and a bunch of leftover building materials, this cob chicken coop is home to seven happy hens. If you are considering adding an accessory structure to your property and desire something much more unique than the pre-built sheds found at the big box stores, we can help.